This is a subject creating interest and a lot of emotions, it’s all about autonomous shipping! 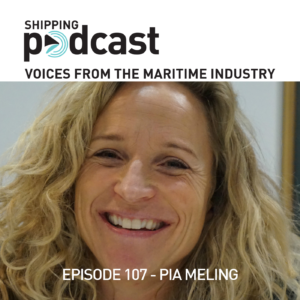 Meet Pia Meling, a very knowledgeable maritime professional speaking about what challenges there are with autonomous ships but also the strategy behind developing a new segment of shipping. The idea is to move goods from roads to the sea and the various scales of autonomous, from assistance to fully autonomous. Of course, we cover a lot more in this, the 107th episode of the Shipping Podcast, how everything is changing in the maritime industry and what we can learn from others.